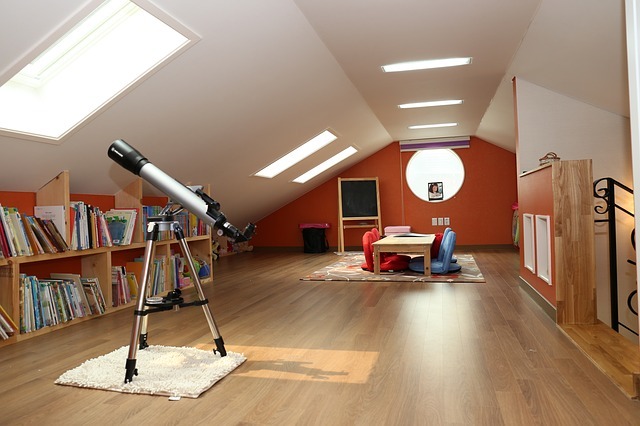 When you commit to a loft conversion, there are a few things you need to keep in mind. The first is that loft conversions often offer the biggest return on your investment. The more closely your property is located near a city, the higher this return value rate will be. There are also several ways you can reduce the overall cost; for instance, if your property allows for the conversion without changing the roof pitch. This way you can gain extra floor space without any particularly massive renovation projects. You will need to properly insulate the room and put in a few windows from the Rooflight Company, of course, but these additions are cost-effective and can help turn an unused space into a much-needed addition. A home office is the perfect choice for anyone who deals with work at home, or those who need time to figure out their tax returns, invoices, or other at-home paperwork. An office is also ideal if your loft space is rather small, and could not fit the traditional bedroom setup. This way you can finally keep all your work and work-related clutter in one space. Done up right, it could even help you be more productive with your days and help you relax by taking work away from your living spaces. Larger loft conversions are often done to provide an extra bedroom for the property. If there is no one to claim the extra bedroom, you can easily make use for it as a spare bedroom. This could then either be rented out on a short-term basis, or it could be used for guests when they pop by. Books are a favourite of many, but they do tend to take up a lot of space. By converting the loft into your very own library, you can enjoy a peaceful place to escape and let your imagination run wild. Combine this with an office, and this newly converted room could see a lot of different foot traffic by several members of your family. There are so many possibilities once you have made use of all the space in your home. Be smart about its natural shape and add features that will allow you to enjoy it seamlessly. From a spare bedroom to storage, from an art room to a library – there are so many opportunities to expand your home and your quality of life within it.